Happy Monday everyone! 2 more days until Christmas. All I have left to do is some wrapping and a last minute trip for Ward's stocking stuffers. Do you do stockings? What do you put in your husband/significant others? I'm putting some running sleeves and then I'll head to Rite Aid and get some cheesy things like a toothbrush, floss, deodorant, and such. But that's all I have left to do. I have some exciting news. I've been asked to be an ambassador for Core Power. 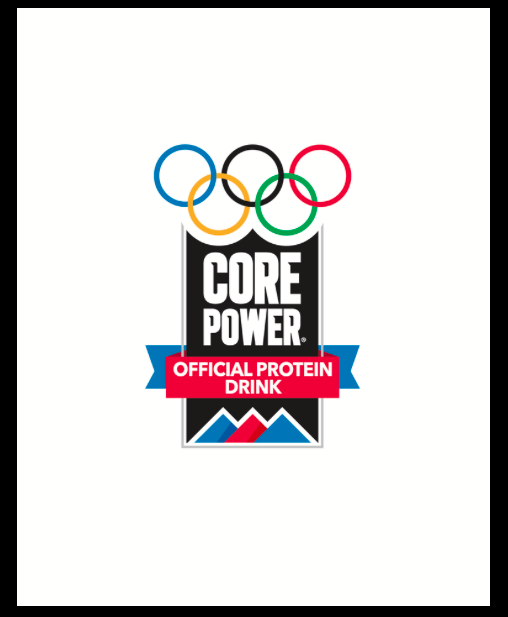 Core Power has been named the "Official Protein drink of the Sochi 2014 Winter Olympic Games". You are excited for the Olympics, right? I, myself, cannot wait!!! Everyone needs protein. Even Olympians! Core Power is made with natural whey and casein proteins found in milk, never removed from their original state. What I'm impressed with is that these protein drinks are made with simple ingredients and do not have a chalky taste or texture! 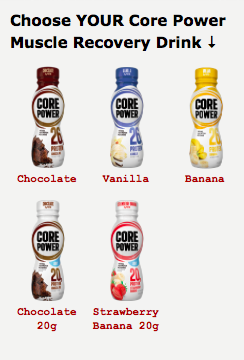 Core Power comes in premixed bottles that are easy to grab and go, so you can get your protein fix on the go. And if you want to get creative with your Core Power drink, you can check out these tasty looking recipes here. I personally like the selection of flavors to choose from. Core Power is found in stores across the nation or you can purchase some through Amazon. I know I'm looking forward to the ball and towel. My kids have killed my ball and I need a new one. And that towel will come in handy while I wipe the sweat off of myself while I get in my miles on the treadmill this winter. That water bottle will be perfect for me to drink with while I run and that bag will be a great place for me to have my running clothes and shoes always ready for a run! Ready set, go! Enter below. I will choose my winner next Monday - 12/30. 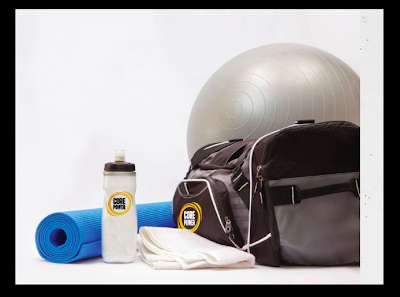 I really like this giveaway, all the items can help with various parts of a workout- especially the exercise ball for me! Congrats on being asked to be an ambassador! Great product. I would love to have that fit-kit under my tree....wow! It would give me the tools I need to exercise everyday! I'm looking forward to trying Core Power after the holidays! Oh I do need a gym bag and new towel for sure! I really, really don't get enough protein so I run out of steam way before I should on my runs. A good basic protein drink sure wouldn't hurt anything! I need a new gym bag!! that ball would help me get some killer abs! and then the protein boost afterwards..
nothing like new fitness stuff to motivate me!! I need to work on EVERYTHING in my fitness world except running. I am motivated to log the miles, but I need to do other strength work AND focus more on stretching and fuel. This would help! Oh! I could definitely use the ball! New fitness stuff is always fun! The kit would help me build my core for a better run. Having all my running stuff in that one bag will help me stay organized and ready to run at a moment's notice! I always struggle getting enough protein, this would help me try something new! The fit kit would definitely come in handy for me! The bag for going to the gym along with the towel. And I would use the ball at home. One of my goals for the New Year is to work on my core strength which the ball would help with. And getting new gear always helps motivate me! Congrats to Lea. Awesome. So happy for her!